A boil is a localized infection in the skin that starts off as a red tender area. The area becomes firm and hard and eventually the center of the boil softens and fills up with white blood cells, known as pus, which help to fight off infection. A boil is also known as a skin abscess. Vitamin C can help to prevent the formation of boils and help your skin to heal. Boils can be caused by sweat glands becoming blocked, which leads to infection, and a break in the skin such as a cut or a scrape can lead to abscesses forming. 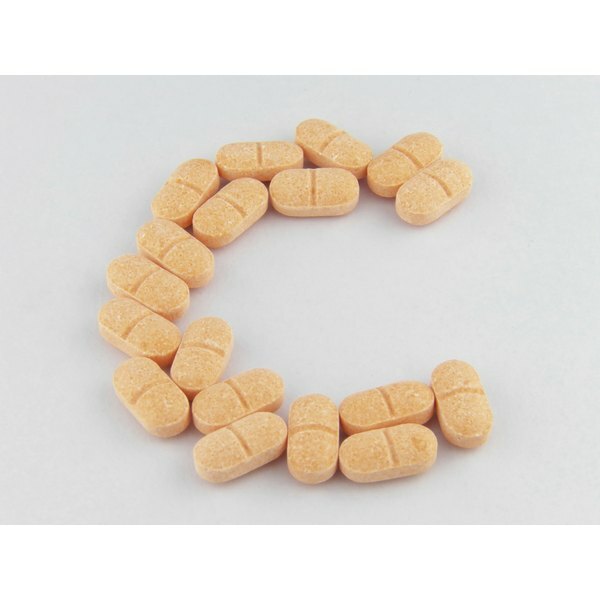 Vitamin C helps to heal the wounds caused by boils and abscesses as it helps the body to make collagen and helps to form new tissue, according to the University of Maryland Medical Center. Acne is a skin condition that is caused by a buildup of sebum in the pores of the skin. Severe acne causes deep boils and abscesses to form under the surface of the skin which, when picked or squeezed, can lead to scaring. MedLine Plus reports vitamin C can help to heal the skin and reduce the appearance of such scarring. Food Allergy Solutions states that too many toxins in the body can cause the skin to become inflamed and lead to the formation of spots and boils. According to Natural Acne Solution, vitamin C is the most important adult acne fighting vitamin as it helps to remove toxins and other pollutants from the body and prevents toxins in the body from damaging the skin. Free radicals in the body can lead to a process known as oxidization, which affects the skin and can cause the formation of boils and abscesses. Free radicals are caused by stress, not getting enough sleep, pollution, smoking, drinking too much alcohol and eating too many unhealthy foods. According to the University of Maryland Medical Center, vitamin C is a powerful antioxidant that can help to block the damage caused by free radicals, preventing the formation of boils. Kim Lockhart works for Scottish Television and has been writing professionally since 2008. She has a Higher National Diploma in journalism and a Bachelor of Arts in management and is highly knowledgeable in the fields of health, fitness and alternative medicine.